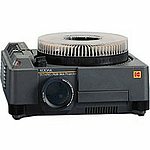 Slide Projector Hire for Amazing Slides and Presentation! You can’t beat a slide projector for high res images on a large screen. Corporate AV will ensure you get the very best picture quality with slide projector hire including the Ektapro 35mm Remote Control Slide Projector, Projector Stand and a full range of lenses.